During your search to buy visitors insurance for a trip abroad, you may have come across these two travel medical insurance plans: Visitors Care and VisitorSecure. Although they share similar names, one plan may be best suited for you depending on your travel needs. 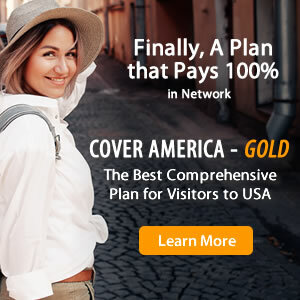 Both Visitors Care insurance and VisitorSecure insurance provide travel medical coverage for USA and international travel. These travel insurance plans both offer limited coverage, meaning that they pay a fixed, pre-defined amount for covered expenses. Find out the differences between Visitors Care and VisitorSecure in the comparison chart below so you can choose the travel medical insurance policy that is best for you.